Home » What’s the Best 30 Gallon Air Compressor? What’s the Best 30 Gallon Air Compressor? Choosing the best 30-gallon air compressor can be complicated depending on what your requirements are. It can be daunting to make the right decision because air compressors are highly specialized. It can be confusing trying to understand the technical aspects of the compressor. 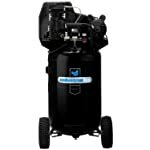 Bearing that in mind, we put together this detailed article to guide you through the process of selecting the best 30-gallon air compressor for you. We talked a lot about 20-gallon air compressors in the previous post, but what about 30-gallon compressors? Why do you need a bigger air compressor to get the jobs done? The right answer is “BIGGER is BETTER!”. A 30 gallon air compressor will hold more air and allow you to use your tools longer before the pressure drops and the motor kicks on to refill the tank. Also, some 30-gallon models are designed to have a very high CFM rating – up to 25 CFM at 90 PSI – which is better for using heavy-duty pneumatic tools like sanders, grinders or impact wrenches. 30 gallon air compressors range in price, based on a variety of criteria including type, design and available features. Portable units, such as Industrial Air ILA1883054 30-Gallon Belt Driven Air Compressor, usually cost $400 – $800, whereas truck-mount units, such as DeWalt DXCMH1393075 Two-Stage Industrial Air Compressor, can cost more than $2000. As you may have noticed, there is a major difference in price. So it’s important to choose a compressor that is durable, reliable and capable of providing the right amount of air pressure to your tool but at a price that you can afford. We reviewed many 30 gallon air compressors available on the market and only 5 models match our requirements, all others lacking one essential feature or another. We hope this guide will help you choose the best 30-gallon compressor to suit your needs and your budget. But if you don’t have time and just want to see what models are our top picks, then check out our quick comparison table below. Why should I buy a 30-gallon air compressor? Air tools have become a staple on many jobsites due to the simplicity and advantages they provide. In fact, it’s estimated that nearly every industry now relies on compressed air tooling to some degree. Among their greatest benefits are that they offer the freedom from electricity and don’t require their own motor – especially useful in rural areas or temporary locations like fairgrounds or music festivals. But for these tools to perform in locations that range from urban to rural, they do require the support of an adequate air compressor. An adequate air compressor is a compressor that is capable of providing the right amount of air pressure to the air tools that you’re going to be using. Air tools come in a number of different forms, and each tool requires a different amount of compressed air to get the jobs done. It’s can be difficult to determine which size of air compressor is the best for you. An air compressor that is too small would be not enough to power the tools that need a lot of air volumes like impact wrenches or orbital sanders. One that’s too big will not be suitable for construction sites, road works, or wherever you need compressed air. Sometimes we need an air compressor that is portable but powerful enough to run all pneumatic air tools available or for using multiple air tools at the same time. That why you are here to read about 30-gallon air compressors. A 30 gallon air compressor is the best compressor for any heavy-duty application on construction sites. What is the best 6-gallon air compressor? Pancake or Hot Dog? When it comes to choosing an air compressor for a work truck, a truck-mounted air compressor is the most common choice. And the most common size of truck-mounted compressors is 30-gallon. The truck-mounted models, such as Ingersoll Rand 2475F13GH Two-Stage Gas-Powered Air Compressor, provide plenty of CFM up to 27.3 CFM at 90 psi which is able to handle any air tool you have. You know sanding is one of the most exhausting tasks in woodworking, and random orbital sanders are the most air-consumed tools among all. They require average 8-12 CFM at 90 PSI to run, and the model above provides more CFM than the requirement. How to Buy the Best 30 gallon Air Compressor? When shopping for the best 30-gallon air compressor, you will need to decide on what type of unit you will need to purchase. Truck-mounted or portable compressor? Electric or Gas-Powered compressor? How many CFMs and horsepowers do you need? And what features you should look for. Regardless, of the type of air compressor you wish to purchase, you’ll want to choose a compressor made by a reputable manufacturer that comes with a good warranty and offers a complete line of accessories and replacement parts. 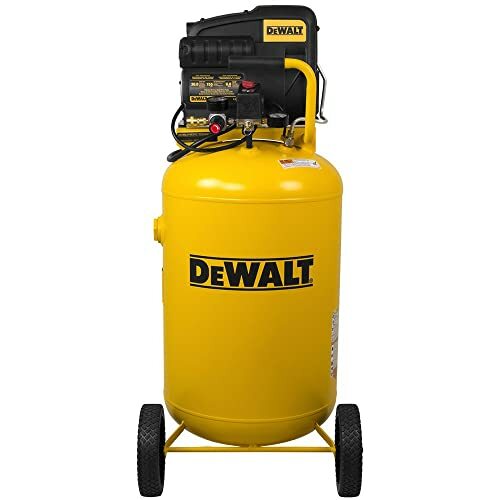 In terms of reliability, we would suggest you buy your 30 gallon air compressor from top brands such as Dewalt, Industrial Air, Ingersoll Rand, Porter & Cable, Campbell Hausfeld, and Quincy. You can easily find their products on Amazon. These types of compressors will be a lot more money than the ones from Chinese manufacturers, however, they are made to withstand continued use and offer a good service for many years. Truck Mount or Portable Air Compressor? The entire purpose of a service vehicle is to be versatile. Whether you are working on the oil field or offering roadside services, having the ability to work onsite could make a world of difference. Truck-mounted air compressors may be the answer to that vital question. Adding a 30 gallon truck-mounted air compressor to your truck will allow you to carry every type of air tools you have and give you everything you need to function on the job. Most 30 gallon truck mount air compressors are gas-powered. They’re designed to be used for outdoor applications, not for indoor use. You should buy this type of air compressor if you want to install an air compressor directly to your service truck. A 30 gallon truck-mounted compressor can provide compressed-air at a very high CFM, but it can be very expensive to buy. 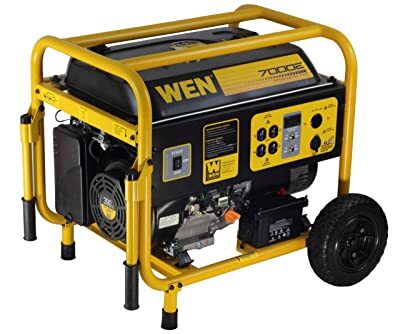 30-gallon portable air compressors, on the other hand, are designed to be used for both indoor and outdoor applications. Most of these compressors are electric-powered and require less maintenance than truck-mounted models. They are also less expensive and quieter. However, 30 gallon portable air compressors have much lower CFM and horsepower than truck-mounted models. 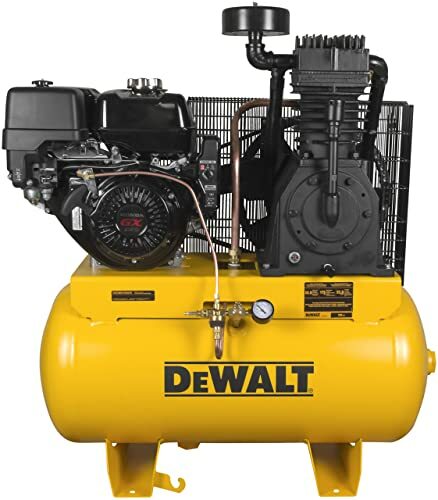 A typical 30 gallon compressor, such as the DeWalt DXCMLA1983012 30-Gallon Air Compressor, delivers just about 6 CFM at 90 PSI, which isn’t enough to run 1-inch impact wrenches (require 10 average CFM @ 90 PSI) and orbital sanders (require 6-9 CFM @ 90 PSI). CFM (cubic feet per minute) tells you how fast an air compressor can supply air. And it’s usually the most important number to consider. If a tool uses air faster than the compressor can supply it, you’ll have to stop working and wait for the compressor to catch up. Every manufacturer tests its compressors at 90 psi – an average setting for a nail gun – so you can be confident that you’re comparing apples to apples when you look at CFM numbers. Read more: what’s the best air compressor for nail gun? The chart below includes some common air tools and their average CFM measurements. Reference this chart to determine what continuous CFM rating is required of your air compressor. We recommend increasing the CFM total you get from the highest rated tool (or the total number of highly rated tools that could be used at the same time) by 50 percent to ensure that you have adequate performance under the most demanding applications you may encounter. For example, if a ½” impact wrench requires 4 CFM at 90 PSI, select a compressor that delivers at least 6 CFM at 90 PSI. The horsepower of a compressor isn’t directly connected to the performance of the air tools or delivery of air, but it is an important factor when deciding on what is the best 30-gallon air compressor to buy. 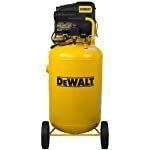 Because a 30-gallon air tank is relatively big, it takes time to fill up the tank with compressed air (up to 10 minutes for some models). The higher the horsepower, the quicker the tank will be filled. However, you should pay attention to the CFM rating first before considering the horsepower rating. The best air compressor may not be the right one for you if it doesn’t deliver the CFM you require of it. Single Stage or Dual Stage? Dual-stage compressors tend to be more efficient, compressing air to a higher pressure (PSI) than single-stage compressors. This allows more air to be stored for future use while generating less heat, reducing wear and extending compressor life. Dual-stage compressors are good choices for continuous use in shops or to power multiple tools at once. An oil-free pump reduces maintenance and does not mix oil into the compressed air. An oil pump tends to run quieter, cooler, and more durable. Moreover, an oil compressor weighs a lot more than an oil-free compressor and costs more as well. A belt-drive compressor offers greater flexibility to adjust the airflow and pressure as needed. It is also less expensive to purchase and is easier to install and maintain than a direct-drive compressor. However, a direct-drive compressor has the ability to operate at lower temperatures and higher energy-efficiency. V-design cylinders typically run cooler that in-line cylinders. Heat is a compressors worst enemy. What size generator to run a 30-gallon air compressor? Most 30-gallon electric air compressors we’ve reviewed draw about 15 amps to 20 amps on 120V household current. Running these compressors off a generator you will need a generator at least 3000 running watts/6500 starting watts for the compressor needs on startup. Manufacturers do not recommend using a generator to power your compressor. They claim air compressors can be seriously damaged by the generator’s sudden fluctuations in power. They will also deem this as improper use and will void any warranty on the compressor. The Industrial Air ILA1883054 is one of the best-selling and top-rated 30 gallon air compressors on the market. It’s heavy built, easy to use, and much quieter than we expected. It takes about 8 minutes to charge up to 155 PSI (max for this unit) but is able to recharge as expected (about 2 minutes from 90 PSI back to 155 PSI) and the tank holds pressure for 24 hours without a problem. At just 78 dA, this compressor is quieter than other air conditioners of the same tank size – 30 gallons. It’s wired for a 120-Volt outlet but is also convertible to 240-Volt applications. We would recommend this to anyone using the product on 220V, however, the 1.9 HP motor is marginal at best running on 120v. The Industrial Air ILA1883054 is a very solidly constructed compressor, with a surprisingly low operation noise levels, however, it may cost you a bit more than others. Don’t waste your monies on the cheaper models. Spend a little more get a lot more. A truck mounted compressor has a lot of demands placed on it- vibration, weather, dust and dirt; you get the idea. This DeWalt DXCMH1393075 Two-Stage Truck Mount Air Compressor is one of the best 30-gallon truck-mounted compressors in the industry. It comes with a reliable commercial-grade Honda GX390 OHV Gas Engine, which is one of the best engines for construction equipment such as gas-powered water pumps, gas-powered air compressors, gas pressure washers, and gas log splitters. This engine is designed for the most demanding commercial applications. The DeWalt truck-mounted compressor delivers a maximum of 22.0-CFM at 175-PSI that provides enough power to operate more than one air tool or device at one time. The patented pump includes a patented piston design, a cast iron precision bored cylinder head with a set of patented asymmetrical deep-groove directional cooling fins, as well as a patented cast iron flywheel design that together provide a cooler running pump. Powerful 3.7 HP motor creates 10.2 CFM at 90PSI, 135 max PSI. The Campbell Hausfeld’s history of creating quality products began in 1836, when it manufactured horse-drawn wagons and agricultural equipment. Today, the company offers a complete line of air compressors, air tools and accessories, inflators, nailers and staplers, paint sprayers, pressure washers, and more. Campbell Hausfeld is one of the most trusted brands in the USA. 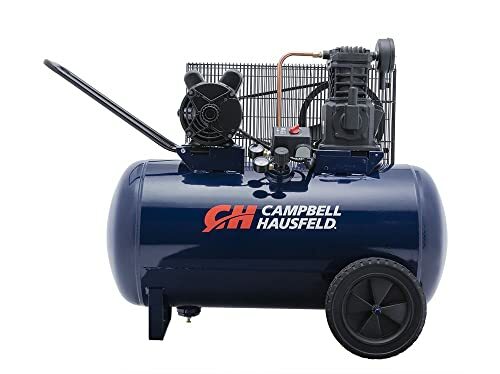 This Campbell Hausfeld VT6271 Air Compressor can power a variety of air tools for the serious DIY user, professional or contractor. With a powerful 3.7 HP motor, this compressor is able to fill up the 30-gallon tank from 0 to 135 PSI in just about 3 minutes, which is quicker than most other 30-gallon electric models. Furthermore, it delivers up to 10.2 CFM at 90 PSI which is enough to run most impact wrenches and orbital sanders. This compressor features a horizontal 30 gallon ASME tank, handle and wheels making it ideal for storage in a small shop or garage environment. It comes with an affordable price, lower than our top pick. We would recommend it to anyone who is looking for a good quality 30-gallon air compressor. However, keep in mind that this compressor is relatively noisy. At 87 dBA, it’s louder than most other 30 gallon compressors in our lineup. Overall, this is an excellent compressor for the price. If you don’t mind a bit of noise, you will be very pleased with this unit. Dewalt has been a quality name since your grandfather’s time- with good reason. Since 1924 they have been building tools and power equipment that stand the test of time. This Dewalt 30 gallon air compressor is built to last. It offers a low-maintenance choice for anyone who needs a portable option. This compressor is engineered with oil-free, direct-drive operation, there are no belts to tighten or change and the need to add, change or dispose of oil is eliminated. It features a patented pump design with a two-piece cooling system that increases cooling efficiencies, lowers operating temperatures and extends the life of the pump. At 90 PSI, this 30-gallon air compressor delivers 6 CFM of compressed-air, which is slightly better than our best pick. However, that amount of CFM isn’t suitable for multiple users, or high demand tools like sanders and 1” impact wrenches. 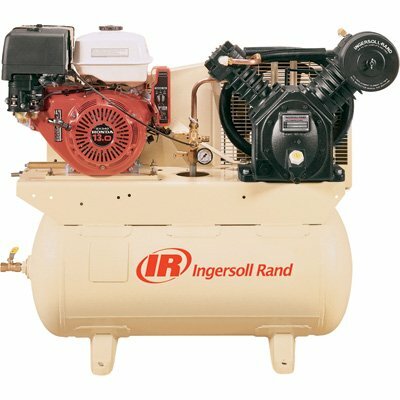 Ingersoll Rand has earned their reputation for solid, made-in-the-USA dependability, and this 30-gallon truck-mounted air compressor is no exception. It’s designed for the toughest 100% continuous duty applications. With a 2-stage pump and a 13 HP motor, this compressor produces up to 27 CFM at 90 PSI, so you can run large tools all day, at any job site you can drive to. It’s one of the most powerful 30-gallon compressors you can buy. However, it’ll costs you a lot more than other truck-mounted units. 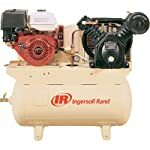 The Ingersoll Rand 2475F13GH uses a Honda GX340 4-stroke gas engine, which is designed for reliability and durability. Overhead Valve design offers cooler, fuel-efficient operation and cast iron cylinder sleeve provide longer service life. The GX340 is reliable, easy starting and quiet running. This compressor is 100% solid cast iron construction for proven reliability. But you’ll need some muscle to get the 485 pounds moving in the right direction. It’s dual-stage compressor, that means it runs more efficient and cooler than other single-stage units. Overall, we would recommend it to anybody. Don’t waste your money on the cheaper models. Spend a little more get a lot more.